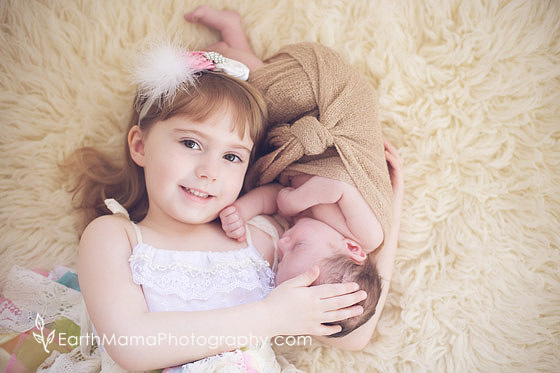 This joyous little family join me in the studio to document their newborn session. Big Brother tagged along and provided the most amazing comic relief for us. He was a doll, but had zero interest in his new brother. What that meant is a lot of time spent "tricking" him into a photo. Towards the end, he stopped and said, "I know what you are doing... you are TRICKING ME!!!" We lost it. He was proof that toddlers/preschoolers know so much more than we think they do! We ended up with some of the most beautiful and authentic family, sibling, and individual portraits. I loved it. This was the first time I had met sweet Chloie and her family and we had so much fun! We ended up at the Arboretum on a very warm day and despite the crazy humidity, little Chloie was amazing. I loved the colors they chose and how beautiful Chloie looked in her dress. Six months is such a fun and interactive age... the perfect time for a session. Enjoy a few of their images! I have been lucky enough to photograph this sweet little boy since birth. I couldn't belive that he is already one! With a very warm fall, we were able to really enjoy the evening shooting. We even took a dip in the creek! Words can't express the honor it was to be at this birth. Sweet Mercy was diagnosed with Trisomy 13 and was not expected to live. I was there to document the time they had with her and to share in the joy and sorrow of her birth. I was honored. Everything went smoothly and the staff at the hospital was really wonderful. The best part is Mercy is still with her family. They know she won't last too much longer, but every minute they get to share with her is truly a gift from God. I was honored to help this family have their first baby. Their plan was to have a natural hospital birth using Hypnobabies and not only to they succeed, but they did an amazing job. This mom was STRONG and beautiful all through labor and her husband was a ROCK in supporting her. He was almost as amazing as my own hubby and that is saying a lot, because I personally think my hubby is awesome ;) Either way, they had a gorgeous baby girl when it was all said and done. They were so overjoyed and proud. It was an honor to support them and document this time. Congrats you guys!